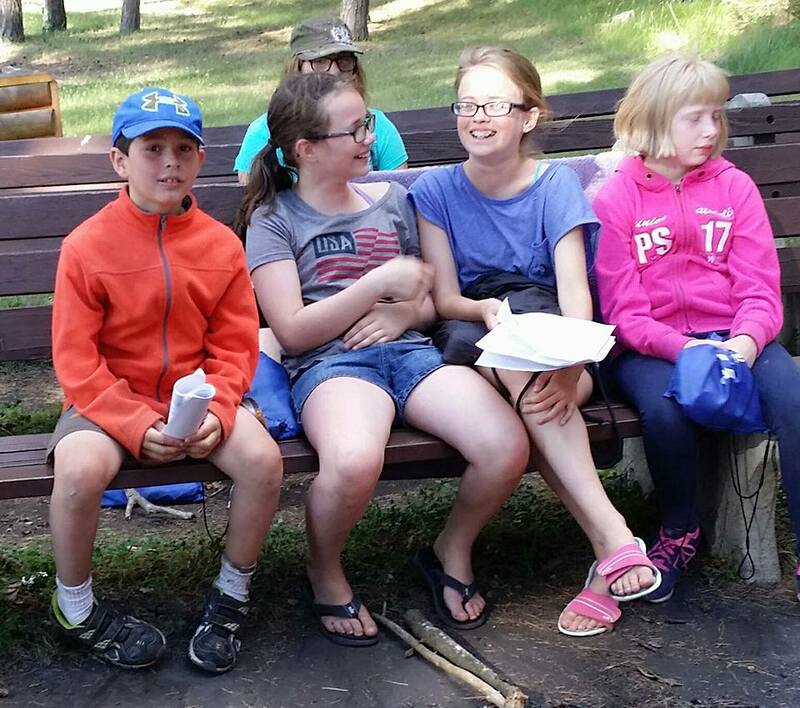 Check out the latest news from Northern Pines Camp! What a great summer ahead with the theme of PEACE WORKS! Can you see the fun and bright tie-dye shirts? Campers can be involved in the worldwide peace crane project and peace pole creation. On Labor Day, about 150 people gathered to celebrate the groundbreaking of a new Tabernacle at Koronis Ministries Camp and Retreat Center in Paynesville. In a moving worship service, the nine-decade lifespan of the original Tabernacle was remembered and celebrated—and those assembled prayed over and blessed the site of a new building that will be ready to welcome guests by spring 2019. Dan Ziegler, director of Koronis Ministries, described the original building as a holy space where all who came found fellowship with each other and with the Lord, and where thousands of people were “challenged to orient their lives toward Jesus.” But the historic Tabernacle had no restrooms, air conditioning, ceiling fans, or heat, and it wasn’t able to be used year-round. Years of use had resulted in a leaking roof and a cracked foundation that caused water to puddle inside. The new Tabernacle will be a multi-level, multi-use meeting and worship space that’s available year-round and has state-of-the-art technology, modern amenities, and full accessibility. So far, nearly $1.7 million has been committed to the project. A capital campaign is underway to raise the remaining funds needed for the $2 million building. Each Minnesota United Methodist congregation has been challenged to give at least $1,500 to help bring this vision to reality, and Ziegler reported that dozens of churches have already risen to the occasion. During the groundbreaking ceremony, Bishop Bruce R. Ough gave a sermon in which he encouraged those assembled to build on the legacy of the past as we move into a new era with the new Tabernacle. One man who knows a lot about leaving a legacy is Dwight Rieke. He has attended Koronis for 91 of the 92 years he’s been alive. "I’ve never missed a summer,” he said. All who attended the groundbreaking were encouraged to bring a shovel or garden trowel to help break ground. Rieke had “1928,” his first year at Koronis, written on his shovel. He attended the groundbreaking with his great-grandson, Chase, who enjoyed digging with his own little shovel. Rieke dedicated his life to Christ at the original Tabernacle, and it’s important to him create a new “hallowed place of worship” for Chase’s generation and those who come after. Karen Craven has also attended Koronis since she was a baby and now owns a cottage on the Koronis grounds with her husband Bob. Craven is proof of that. She explained that there’s a book filled with the names of all of the kids who made a commitment to Christ at the old Tabernacle. It includes her own name. Rev. Deb Marzahn, pastor at multi-campus Crossroads UMC and president of the 150-year-old Red Rock Camp, which uses the Tabernacle every year, told stories of how she has seen God touch the lives of those gathered in the original Tabernacle and what gathering there has meant to her family. “Camp is an unparalleled opportunity, coupled with the movement of the Holy Spirit, to experience true Christian community,” she said. Rev. Paul Marzahn, also a pastor at Crossroads UMC and her husband, added that the future Tabernacle is important to him because he wants to pass on the legacy of faith and family he received in the original structure. For Steve Knight, the Minnesota chair of the Dakotas-Minnesota Area Camp and Retreat Council, the most meaningful part of the groundbreaking event was “seeing the past and the future generations come together to consecrate this place and break ground with a vision for what we can do in the future.” Like most people attending this event, his faith was strongly shaped by his time at camp. Karla Hovde is the communications specialist for the Minnesota Annual Conference of the United Methodist Church. Dwight Rieke has attended Koronis for 91 summers in a row. He broke ground for the Tabernacle on Labor Day with his great-grandson. Koronis Ministries’ new Tabernacle moved one step closer to reality in May when the Board of Trustees of the Minnesota United Methodist Church gave unanimous approval of this proposed meeting place. Camp News Spring 2018 includes camp information updates on all six camps of the Dakotas-Minnesota Area Camp and Retreat Ministry. Videos on Minnesota Vimeo. Continue the Vision and Legacy of Koronis Tabernacle now. Teaching, Equipping, Empowering, Nurturing, Servants. Koronis Ministries, on beautiful Lake Koronis, is seeking a full-time Facilities Manger to oversee the upkeep and enhancement of 50+ buildings and 185 acres. Camp Chill Returns in 2019! this fundraiser for camp scholarships so successful for our conference! We want to make sure that even more people can go to camp, so we are taking a year to make Camp Chill 2019 the best yet! Stay tuned for how you can raise camping scholarships with Camp Chill in winter 2019! Do you have your Church Code? Did you know? We offer Church Codes! If your church is planning to offer financial assistance to your campers to help cover the cost of registration fees, a church code can help. Registration for Summer Camp 2018 is Tuesday, January 9. 2018. We welcome you to view Camp Sessions online for all three Minnesota locations: Koronis, Kowakan, and Northern Pines. Koronis Ministries’ campaign for a new Tabernacle has entered its final stage, and plans for the new structure are beginning to move forward. If all goes as expected, site excavation will begin this Fall as workers remove the footers and slab from the old Tabernacle site in preparation for planned construction in the Spring. Winter is coming and the camp needs volunteers to help us cut and split wood for the season! Come volunteer for a day of good work, fellowship, FREE food, and fresh apple cider. No experience needed, there's work for everyone - bring your chain saw if you've got one. Stay overnight if you'd like, as our guests! Check out some of the great stuff happening with your camps! 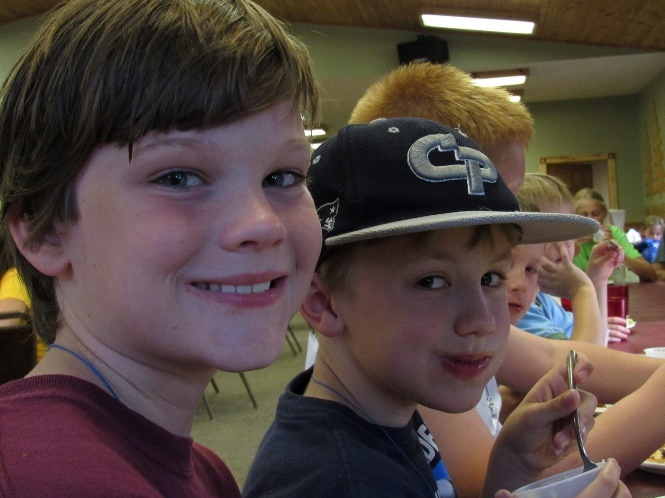 Check out some of the great stuff happening with your United Methodist camps! Click here to read the Dakotas and Minnesota Area Camp Newsletter! The annual Summer Theology Workshop will provide an in depth theological insight into "The Early Church: from Diverse Theology to Orthodoxy" for interested clergy and laypersons. Northern Pines Camp and Retreat Center will have a Volunteer Work Day Saturday, May 20 from 9 am-5 pm. Lunch will be served to all volunteers. We have many projects to work on, for all gifts and abilities. Come join the fun as we clean, paint, rake and prepare our site for a summer of ministry. If you plan to attend, please email NPdirector@campminnesota.org or call 218-732-4713. Friday night lodging is available for those needing it. 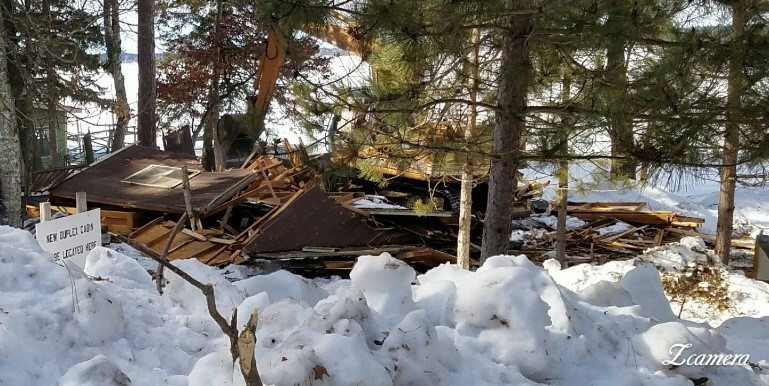 Assistant director, Carol Ford, shared her thoughts about the cabin demolition: "It was with mixed feelings that I watched the cabins come down. So many memories within the walls and yes, on the walls. But they were tired and worn. The foundation of Daisy Mae was no longer strong enough to support the cabin. Like when our faith foundation becomes weak it is time to rebuild and look forward. As the area where the cabins was cleared, a wonderful space emerged. A new place for people to experience God. The reason we are Northern Pines Camp." Keith Shew, Director of Camp and Retreat Ministries, takes the Camp Chill Challenge! Keith absolutely loves camp, knows the impact of a camping experience on the hearts and lives of campers, and wants anyone and everyone to experience camp in 2017! Keith is set to plunge into the icy waters of Lake Koronis if the $500.00 goal is met. And, for each additional $100 raised over the $500, Keith will attach one full-sized bag of marshmallows to his body as "floaties" for his Camp Chill Challenge. Please help support Keith to take the Camp Chill Challenge and help children, youth and families to attend camp this summer! Support camperships -- get Bishop Ough to jump in a frozen lake! Like to knit or want to learn to knit? Enjoy being around knitting and knitters? Want a little time away? You’re invited to this time-flexible knitting retreat at beautiful Northern Pines Camp and Retreat Center! Opportunities will be offered for daily devotions and Bible study, charity knitting, knitting skill sessions, and special presentations. Skilled knitters will be on site to help beginners who want to learn to knit as well as answer questions and trouble shoot problems. Prices are per person and include lodging, food, and program costs. Click here to view and download registration form. For more information, email NPdirector@campminnesota.org or call (218) 732-4713. Be in the know! Click here to read the Winter 2016 Koronis Breezes Newsletter. We are excited to welcome Levi and Lara Ziegler as program leaders for Kowakan Adventures, the Boundary Waters Wilderness arm of Camp Minnesota. Levi and Lara come with a wealth of camp and ministry experience, including: service in a wilderness camp setting, work with various children’s ministries, and most recently, through their program and administrative leadership at Camp Koronis. Levi grew up in the Christian camp setting with his father, Koronis Ministries’ Director Dan Ziegler, mother, Wendy, and five siblings. Levi and Lara are replacing Josh Jirasek, who has stepped down from the Kowakan program leader position in order to serve full-time as Koronis Ministries’ Facilities Manager. 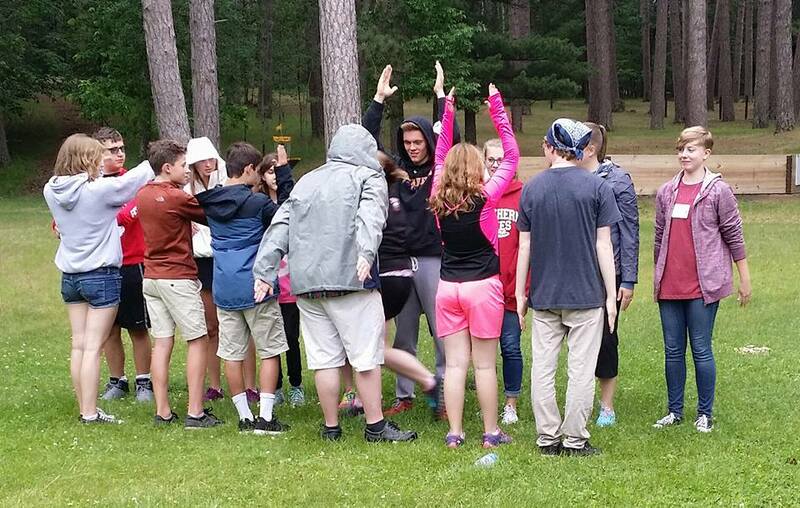 To schedule a Kowakan expedition for your group, email Kowakan@campminnesota.org or call 320-243-4544. Thank you to everyone who responded to our email request for the contact information of your church's Camp Ambassador! We still want your Camp Ambassador information!!! If you haven't sent it yet, please email campambassadors@dakmnareaumc.org NOW! We want to make sure all the amazing camp information gets to the right person at your church! Looking forward to an amazing 2017 Camping season with all of you!! The 2016 Canadian Fishing Camp 1 was held July 28 - August 3, at Mahkwa Lodge on Lac Seul, Ontario. Led by Dan Hair and Marlys Carls-Steiskal, their group of dedicated campers enjoyed fishing, fellowship, and spiritual enrichment. Click here to view the remarkable photos from their expedition. Consider joining us next year! Look for the Offsite Programs and Events portion of our upcoming 2017 Camp Minnesota brochure for details. Read all about it! Click here to view the Fall 2016 Koronis Breezes Newsletter. A project begun in June at Northern Pines has been completed, all thanks to volunteers under the leadership of Don Arnold. In June, Don Arnold brought a group of volunteers from Northern Light in Ramsey to begin the work of residing and staining the exterior of Woodward Cabin, a cabin at Northern Pines Camp and Retreat Center, Park Rapids, one of the camps of Camp Minnesota, Minnesota Annual Conference of The United Methodist Church. In October, an adult mission group from Eden Prairie United Methodist Church arrived at Northern Pines to spend a week working on projects at the camp. This group came prepared to work on the siding, bringing supplies and tools and a monetary gift to help pay for supplies needed to complete the siding project. 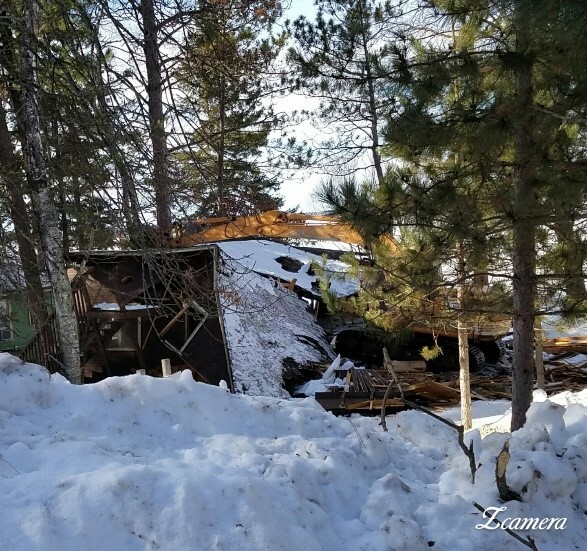 This group of 7 individuals from Eden Prairie, Willmar, Hackensack, and Fort Pierre, SD were able to get the rest of the old siding off the cabin, stain the front side, and completed siding almost two sides of the cabin during their week at Northern Pines. Don Arnold was there all week to help the crew with the project. At the end of the week, a crew from Northern Light again came to Northern Pines to finish the project. With the help of the team of 3 people and Don’s tireless work through the next Monday, the siding and staining was finished. We are very grateful to all who helped complete Woodward Cabin’s new exterior. Are you looking for a relaxing place to get away with your family after a busy Advent and Christmas season? Now is the time to make your plans for the Northern Pines Clergy Family Weekend - January 6-8, 2017! You'll experience a weekend where your family will gather with friends both new and old, take time to renew your spirit and enjoy the beautiful setting at Northern Pines Camp & Retreat Center. Come experience this ideal setting to experience God. We will offer planned activities for your family with plenty of free time for you to choose your own activities such as sledding, skating, ice fishing, and snowshoeing. Family max includes immediate members residing at same address. You are welcome to bring friends, but they are not included in the maximum fee. Lodging: Each family will be assigned a room in the Lodge or a cabin on a first come/first served basis. Limit of 12 families. ½ Weekend – Thursday/Friday (1 night/3 meals) **New this year!! Camp Chill: Bishop's Ough takes the plunge to raise $10,000 for camp scholarships! We need your help in raising $10,000 to get Bishop Ough to jump into frozen Lake Koronis on Feb. 18, 2017! The camp and retreat ministries of the Dakotas and Minnesota United Methodist conferences are excited to share that we’ve partnered with Rachel Devereaux to help with a reboot of each conference’s camp ambassador outreach. Rachel is currently on staff at Cross Winds United Methodist Church in Maple Grove where she’s leading a powerful and growing ministry with youth! Rachel holds a degree in marketing, is in process to become a licensed local pastor. She regularly volunteers at camp, and currently serves on the area camp and retreat council. Rachel has a deep love for camping ministry, has been transformed through experiences at camp, and sees first-hand the impact a camping experience has on lives of children and youth. Rachel will be working closely with local church camp ambassadors, site directors, and our office staff to help even more children, youth, and families attend camp through the area wide camp ambassador outreach program. Watch for information from Rachel soon! From all of the Camp Minnesota staff…THANK YOU, THANK YOU, THANK YOU!! Thank you for making sure the children, youth, young adults, and families in your church and community know about camping opportunities. Thank you for your care, commitment, and continued support of your Minnesota camp and retreat ministry. Because of you, campers experienced Christ, Creation, and Community in powerful, creative, impactful and fun ways this summer at camp. There’s much to celebrate in your camping and retreat program after the 2016 season! After spending the summer serving as interim director of Northern Pines Camp in Park Rapids, Leslie Hobson recently became its permanent director. Our last week of conference camps was a full week! We had 34 Mini-Discovery campers led by Michelle Ford and a volunteer staff of 6. There were 33 Discovery campers and 17 Christian Friendship campers. We had all 8 of the Northern Pine staff working, as well as 2 staff from Koronis Camp and one of the former international staff from Northern Pines who volunteered for the week. “One of the highlights of my recent 3-camp event at Northern Pines with the very young ones was an evening event. My five boys (ranging from 6-8 years old) thought we should "sneak out" of our cabin after lights out. (Lights out are at 9:00 p.m.) Being the "strict" counselor that I am, I nevertheless agreed, if they would keep it a secret. And so, with flashlights in hand, (at 9:30) we quietly walked down to the lake and there watched the sunset, and the stars and moon come out. Also, as we sat on the bench, I told them to "listen to the silence", and then stated "For 60 seconds, NO talking". And so we sat, the little boys and me, and listened, while all on the bench. Then everybody got to share what they heard...the loons, the dragonflies, the water lapping, the wind blowing, a mosquito buzzing. Fun stuff!. Back in our cabin ever so quietly by 9:50, and all asleep by 10:05. If I didn't know better, I think there were six little boys sitting on that bench, listening to the sounds of silence." How do campers find out about our camp offerings? That is what I was wondering last week when we had a number of campers who were not directly connected to a United Methodist Church. So I asked the campers, “How did you hear about this camp?” One of the campers said that her mother had gone online and found Northern Pines on Facebook. The camper had looked at all of the posts and pictures and thought Discovery Camp looked very fun, so her mother signed her up. Another camper was asked by a friend to come to camp. Another camper had gone to her church and they gave her a camp brochure to look at and she chose a camp from there. Another camper said her parent had gone to the conference website to look for a camp and she chose Northern Pines. We are very grateful for the many ways campers learn about camp and then sign up to attend. The first day of camp we talk about the courage to show up. It takes courage to come to a new place, to meet new people, and try new things. We also learned that a stick by itself can be broken easily, but a bundle of sticks together cannot be broken....even by our strongman Program Director, Zach Brandt. When we stand up together we can't easily be broken or taken down. We learned in worship to have courage to stand up! And to do so with others in community! Christian Friendship Camp 3 got into the Fourth of July spirit. With help from the staff, the camp pontoon boat was decorated and the campers were able to participate in the Fish Hook Lake Boat Parade on July 4th. That afternoon the campers attended the Park Rapids Fourth of July parade. During the week, campers had morning and evening worships, went to the beach, made crafts, and went fishing. Kelly, a dedicated Christian Friendship camper for three years now, made sure everyone who came to tour camp or visit them at meals heard that she caught a fish. She was so proud of herself! Northern Pines Mini Treehouse Camp was a busy three days of Christ, creation and community. We had four wonderful volunteer staff for the week, working with the Northern Pines staff. Campers used words like, “fun', "awesome", "great", and "I can’t believe" to describe their camp experience. The busy days seemed to fly by. Campers went swimming, boating, tried archery, learned games, had morning chapel, evening campfires and worship. This two-night camp is just a taste of what these campers can expect when they are old enough to attend one of the week long Discovery Camps. Camping News from Northern Pines! This last week Northern Pines Camp and Retreat Center hosted Discovery 3, Christian Friendship, and Family Camp 1. Discovery campers were asked to give one word answers to describe one of the days of camp. Answers were, “fun, exciting, lesson learning, questioning, wet.” Each evening they had a campfire worship that included an activity to reinforce the scripture and daily theme. One evening they took a Forgiveness Walk and ended at the cross by the lake. Another night they collected sticks and learned that a single stick can be broken but if all of the sticks are held together they cannot be broken. At one of the worships campers stood and stated how they will stand up for justice…. For equal rights, for their beliefs, for family, for their friends, and for their faith. Last week Northern Pines began its UMC camping season with a camp new to Northern Pines-LYFE Camp (Live Your Faith Every Day). This camp started in 1954 and has called other campuses “home” before coming to Northern Pines. This year 104 campers, leaders in training, and volunteer staff, led by Rev. Nate Melcher, experienced Christ, creation and community through the theme, “I Am Enough.” Dress up Dinner, a dance and talent show were some of the community building activities. Small groups, morning and evening worships, low ropes/initiative activities, and the Thursday Quest activity were experiences of Christ, and campers added to their story, that is part of God’s story in the world. As campers experienced Sanctuary time each evening they sat on the edge of the lake and watched the sunset, an experience of God’s creation. Report from Camp Minnesota's First Camp of the Season - Lake of the Woods Fishing Camps! Our group of 16 was at Border View Lodge. Awesome lodging! Water Temp had dropped nearly 10 degrees over the cold weekend that shut down the walleye bite. But the Lord is good and fishing came on as it slowly re-warmed. Weather was sunny (no clouds and only light winds) Slow on Monday afternoon but we caught plenty of fish for dinner and a few take homes between 2 and 4:30 pm. It got better on Tuesday in four- mile bay and it was so nice that our group headed out to Bridges and the Gardens with several launches (about a 20 mile run) . Wednesday was very calm (fishing in T shirts and wishing we had on shorts). The fishing was hot with many large fish being caught. The big fish for the trip was 30". Boats did better when they were moving. The hot jig that caught a lot of large fish was a 1/2 ounce chartreuse. We seemed to do equally well with live rainbows or frozen shiners. Devotions, worship, communion, and evening games of "Cancellation Hearts" rounded out a great experience! Everyone had nice limits of WE (many 19's} and Sauger (many 15 plus). We did not catch any Sturgeon or Elpout this year. One Northern. However, a very large muskie surfaced with a small walleye in his mouth (I caught the little walleye and the muskie hit it on the way up). The "Largest Walleye Award" went to Tom Yeager of Park UMC in Brainerd. We did not count and track the fish, but everyone was all smiles! All large fish were caught and released. We encourage CPR (Catch,Photo, Release). What's better than going to camp you ask? How about sharing camp with a friend! You'll save some money too. For each new camper you bring with you, your event fee will be reduced by $25.00. So, 2 friends = $50 off, 4 friends = $100 off...you get the picture! Already registered and paid? Don't worry - we'll give you credit for ALL of your new friends! Don’t forget about camperships. If camp is stretching yours or your friend’s budget, let us know, we can help! Find out more and register here today! Experience Christ, Creation, and Community WITH A FRIEND this summer. Koronis Ministries Camp & Retreat Center on beautiful Lake Koronis MN is in urgent need of a Summer Food Service Manager from early June through mid-August, 2016. Responsibilities include menu planning and ordering, meal preparation and service for 30 - 300 people, and supervision of food service staff. Food service experience and a heart for ministry a must. Competitive salary & meals provided, plus lodging (if needed) in a lovely lakeside cottage. Koronis Ministries is an outreach of the United Methodist Churches of Minnesota. Contact Executive Director Dan Ziegler for more information - KORdirector@campminnesota.org or 320-243-4544. Camp Minnesota is extending the *Early Bird Registration - $25 Camp Store Credit until April 15!